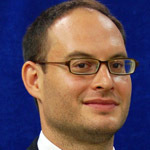 Franklin Foer is a national correspondent for The Atlantic and a fellow at the New America Foundation. For seven years, he edited The New Republic magazine. He is the author of How Soccer Explains the World, which has been translated into 27 languages and won a National Jewish Book Award. The Daily Beast called Mr. Foer one of America’s ‘most influential liberal journalists.’ His latest work and the subject of our conversation today is entitled: World Without Mind: The Existential Threat of Big Tech. I triple checked spelling. The S was not there in STATES// It is true about Amazon and Walmart et. al. But the larger point IS people don’t have any money/ capital TO MAKE CHOICES even if they wanted to! Trust me mail that goes to their neighbours isn’t first choice. Or mail that never comes. I know you’re “speaking” to a general audience Ralph but the general audience has moved on. They may not be sophisticated, but they are well aware except for the snobs in the 20%, that they have NO CHOICES left to make. College from non-ivy league colleges don’t use banks be/ its seductive. THEY HAVE NO CHOICE. And many are not able to even use them anymore without literally buying their way in to the use of them. I insist that hanging around with people who are so closely tied to the system has given you a slightly jaundiced eye. It is true sociology is dead but people didn’t need it. People need only an honest interpretation of daily events/ and reflection upon. A qualifier: your host does know the implications of FREE in this country, surely. And IMO Sanders was acting cynically introducing that “we’ll cover you soon and hope you don’t die ensuing…” be/ he can use the tired excuse that the democrats don’t have power. THIS is recent. The last decade it’s been the default, “go to” – but it certainly is tired. Maybe this is all part of an eveolutionary arc where a centralized warehouse of product will be readily available. Like Amazon only not privatized. Maybe we will eventually address the failings of capitalism itself that breeds endless repetition of product and services that serve the process and interests of so called entrepeneurs,…. that breeds the profound stagnation of culture caused by planned obsolescence.I think Amazon may be a step to a better world. To have an endless catalogue of product and service at one’s fingertips is not such a bad thing? Are transcripts available for your shows? This is by far one of the best podcasts I’ve listened to in the past year. As an agnostic I hereby conjure up a beneficent, omnipotent God so I may say with hope, conviction and love, God Bless you, Ralph Nader! Bruce K – it is about social status as the special class of intellectuals who publish books and work at universities. They are great critics, but they spend their time courting the same system they profess to criticize. Very important for everyone to stop and consider the trends in our society and the World, and to try to preserve what we value, but it is clear that few people are openly doing so beyond the inefficacies and vanities of Twitter; while it’s obvious that technology is becoming unstoppable regardless of the costs and benefits, so long as we EACH passively allow it to do so, there is virtually no discussion in the media re the manifold costs to humanity of technology. Instead, we hear only of the purported “benefits” of technology and de facto R&D companies like Facebook and Amazon, and the destruction of Net Neutrality. We hear in the media only of the purported benefits of technology to “National Security” and our tech dependent economy, and our tech dependent military Empire with its 1,000 overseas military bases and tech based spying by 17 agencies. They are both too powerful and too weak because they are tech dependent. Question technology !! These big litanies of complaint are getting boring. First, the complaint against Amazon that initially they didn’t pay taxes, and poor Walmart couldn’t compete is a neo-liberal argument that concerns itself only with the companies’ benefit, not the people’s. I’d just as soon we didn’t pay taxes for anything. And had free utilities as well, like in Eastern Europe before the USAID Democracy Promotion people came and pulled their plugs for Capitalism and made them pay. I’ve always bought from Amazon, and I have enjoyed benefiting from their lower prices. Yeah, there’s other things going on, but people not paying taxes is good. I wish I didn’t have to pay them right now on Amazon. Next, the big complaint against social media couched in terms of evil new media vs. old media that looks good by comparison, with examples of Hillary conspiracies and Obama not being born in the U.S., and trust in government and old media being really important. Read Partners in Power, by Roger Morris to get a true view of the evil Clintons. Definitely Obama being born or not born in the U.S. is a red herring of no consequence. And exactly why should we trust government and their old media conspirators when they are up to so much no good in the world? Then to call being ruled by government and old media “democracy”? Ooh, big goof. Democracy is people talking, and they are talking a lot right now in an evolutionary [hopefully] dialectical process that is being amazingly productive. There is a huge revolution going on in right wing thinking right now, and all anyone can do is complain. They are exploring all kinds of ideas they never did before, and yeah, there’s a lot of confusion, and crazy, but with the opposition (if they can get their heads out of the McCarthy era and the idea that America is already great, and that any woman, even Hillary, is preferable to any man) presenting their reasonable opposing viewpoints, the best ideas will win if the process is allowed to play out. The problem is the obstacles being put in the way of the new syntheses. The powers that be want us to remain in these stark opposites — Democrat and Republican – and prevent us from coming to a left-right alliance on the issues we agree on. That’s why the big Facebook purge recently (10/18), because the power elite didn’t like what we had learned about our government, and their control of media, their corruption and brutality all over the world. I should trust our government and media, so we can have stability and “democracy”? No thank you. I’d rather we all lose faith in government and media, see it for what it is, and make something better. Yeah, they are surveilling us all the time, but how are we going to speak, learn, and massage our ideas without talking? Sure, don’t share dangerous personal data, and try to be reasonable, but go ahead and talk and thank God they are listening. We want them to hear how we are making progress. They are never going to follow any rules we make restricting their data collection. Forget about it. Show me important law enforcement anywhere. You don’t find it in international law, in police violence, in bank fraud, in pentagon budgets – the elite don’t follow rules, that for us schmucks. That’s the way the world is, until we change it, and take these guys out.